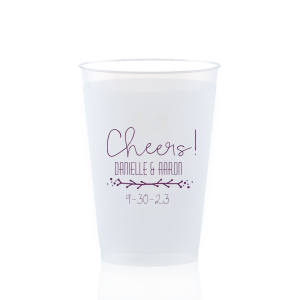 For Your Party 12 ounce frost flex cups make beautiful wedding cups. 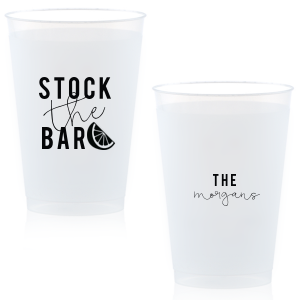 The perfect size for mixed drinks, custom 12 ounce frosted cups are fabulous for serving signature drinks. 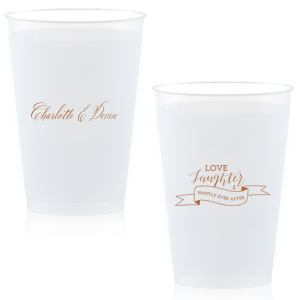 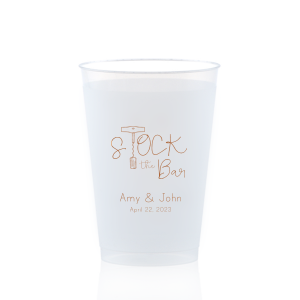 The best part of these personalizable frost flex cups is that you can choose from a variety of print colors, fonts and graphics so that you can create custom barware that will coordinate just right with your wedding theme. 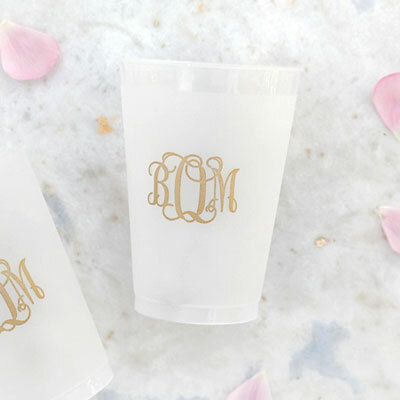 You can design a personalized monogram to have custom printed on your wedding cups. 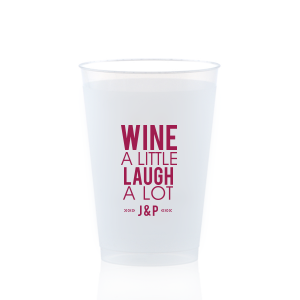 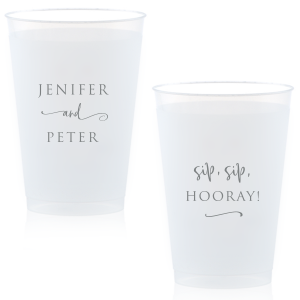 Or, you can include a trendy saying like "Sip, Sip Hooray" or "Drunk in Love." 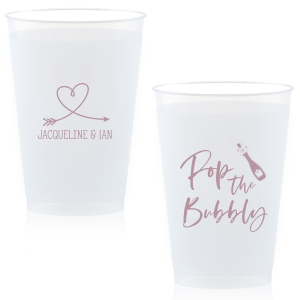 Add the couple's names and wedding date for a unique look. 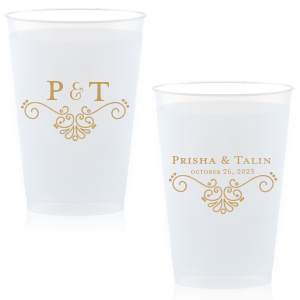 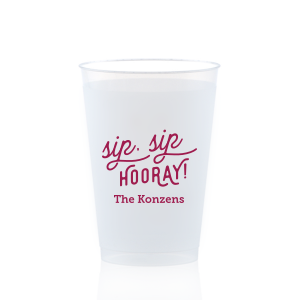 Our 12 ounce plastic cups can be personalized on two sides for all your custom needs. 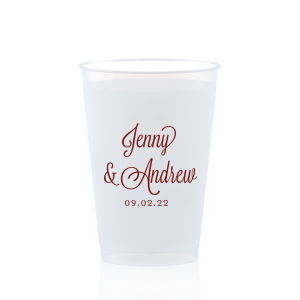 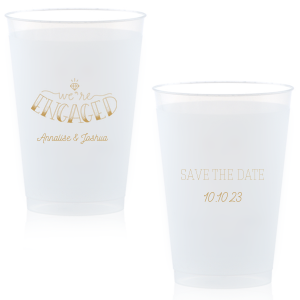 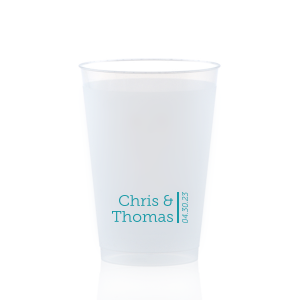 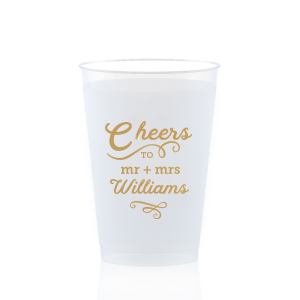 Stylish custom printed cups are a creative wedding favor that can also be used in your reception barware. 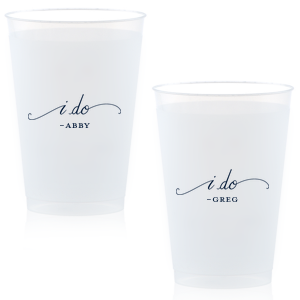 These frosted plastic cups are reusable and dishwasher safe so that guests can get multiple uses. 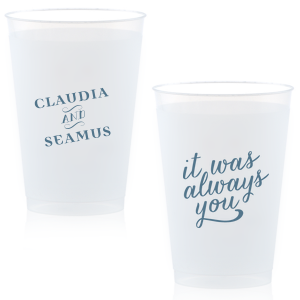 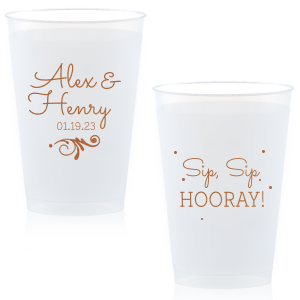 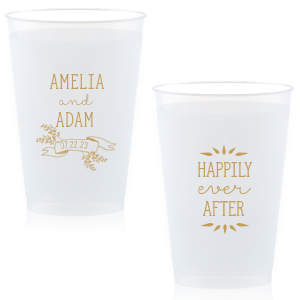 For Your Party has a large library of designs so that you can personalize way more than just wedding cups! 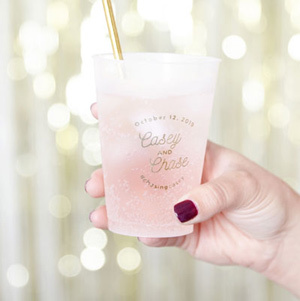 Create the cutest bridal shower cups to celebrate the bride-to-be. 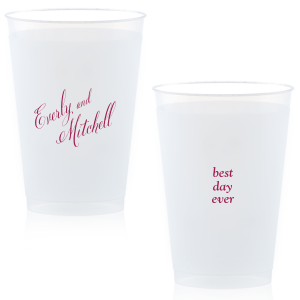 Or, host a gender reveal party with festive personalized 12 ounce plastic cups to serve your pink and blue cups. 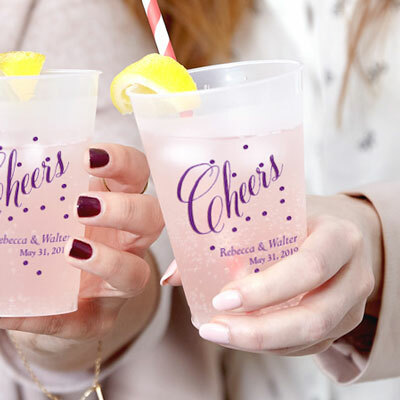 Throwing a graduation bash? 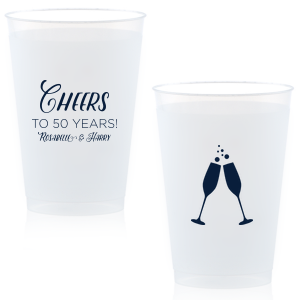 Add a cap and tassel to custom frosted cups to say "Congrats Grad!" 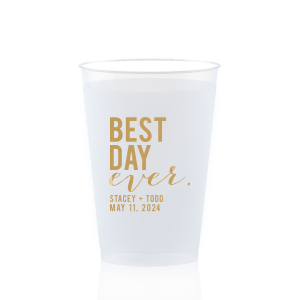 Use our real-time online editor to create your custom frosted plastic cups today.